We wrote earlier this month about how Border Patrol agents were showing up without being asked at police calls for service in Spokane. Border agents are also acting as translators so the police department doesn’t have to waste time or money on contract translators. A federal agency released a ruling today that called the use of Border Patrol agents for translation discriminatory against Hispanics in one Western Washington case, according to the group filing a complaint. The incident occurred last May on the Olympic Peninsula when an officer from the Forest Service (which is a division of the Department of Agriculture) and a Border Patrol agent converged on a Hispanic couple to check if they had a permit for picking salal on national forest land.As the Forest Service officer was walking back to his vehicle to check the IDs given to him, a Border Patrol agent arrived, and the couple, unnamed in the proceedings, fled their car. The man died trying to cross a river. The woman, who filed the complaint, was detained and later released. The proceedings say the Forest Service officer had called the Border Patrol for translation assistance after he saw her but before making the law enforcement stop. Read a copy of the civil right office's ruling here. A spokesperson for the Border Patrol’s Spokane office referred questions to the Department of Agriculture and the Forest Service. 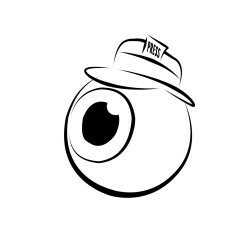 For more City Hall Eyeball, head over here.